This is a flavorful, filling lunch option. The whole plate is under 250 cal. This is one of the easiest high-fiber, no-carb, keto-friendly dishes you can make. 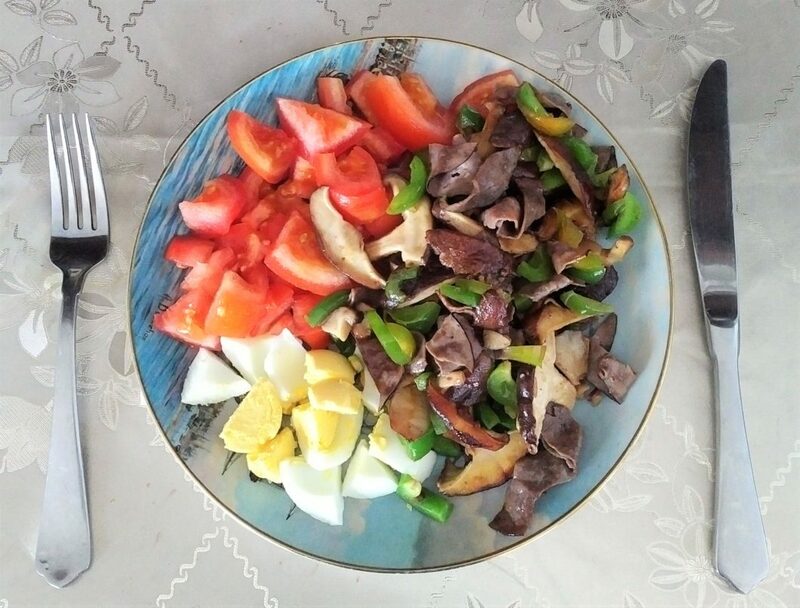 Because shiitake mushrooms are high-fiber you’ll feel full, veggies provide a dose of vitamins and nutrients, while hard boiled egg and roast beef provide much needed protein. It takes about 10-15 min to prep and cook. You can boil egg or use store-bought. Heat skillet over medium heat. Add cooking oil. Wash and slice shiitake mushrooms. Add to skillet. 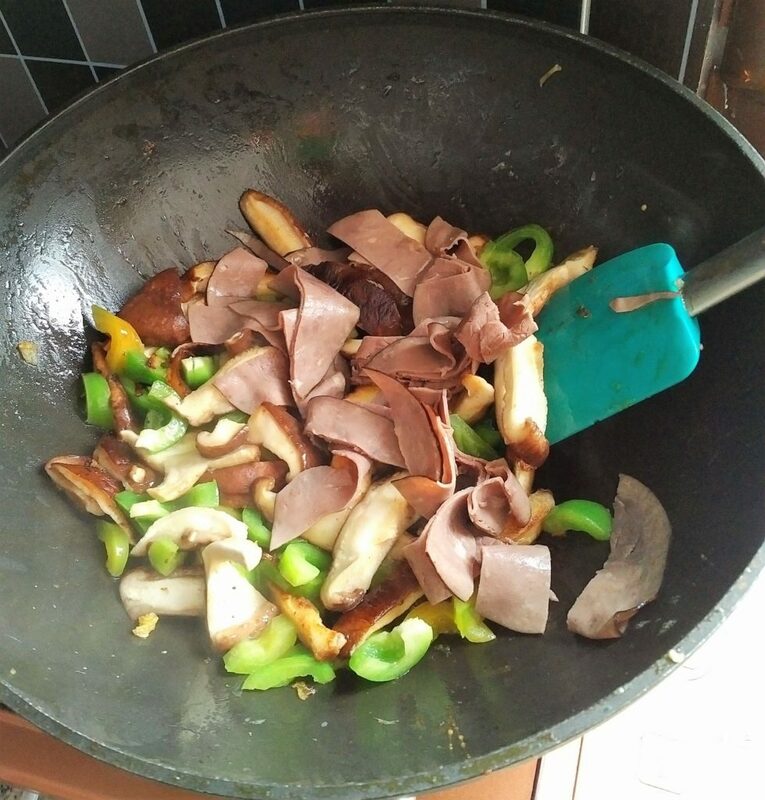 Don’t cover and don’t stir for the first 4-5 min to allow mushrooms to become golden brown on one side. Turn the over and continue frying. Slice bell pepper, add to the skillet. Slice roast beef, add to skillet. Fry, turning occasionally for about 5 min. 5. Slice tomato and egg. Place on a serving plate. 6. Turn off the heat. 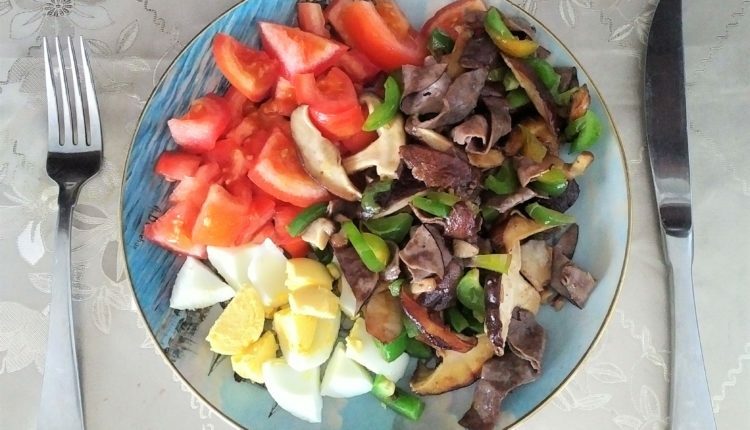 Add mushrooms, roast beef and pepper to a plate with tomato and egg. 7. Season with salt and black pepper. Enjoy and please share with your friend who might also like high-fiber, low-carb shiitake mushroom lunch! Kimchi Fried Rice Recipe That Takes 5 Min to Make! © 2019 - V LifeStyle. All Rights Reserved.